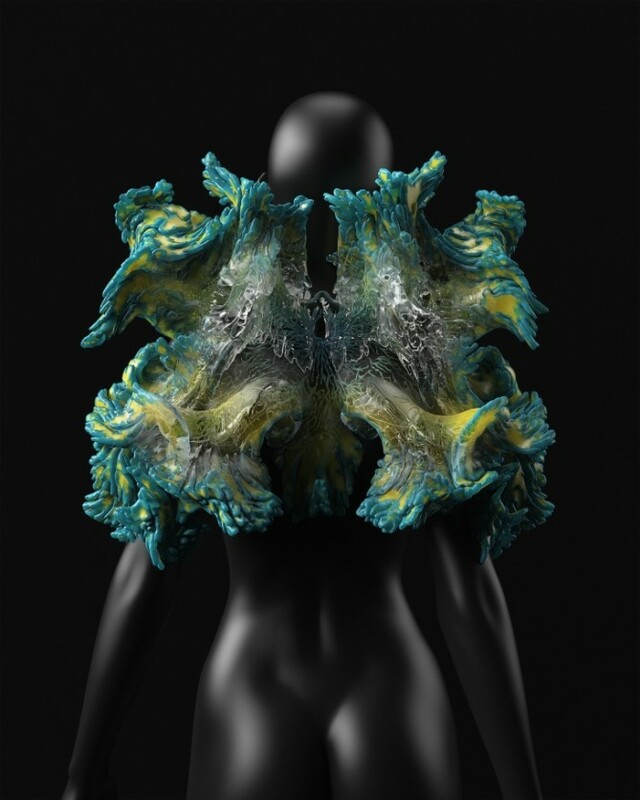 Neri Oxman’s team at MIT Media Lab has created four 3D-printed “wearable skins” designed to facilitate synthetic biological processes that might one day allow humans to survive on other planets. Neri Oxman and members of the Mediated Matter group at MIT Media Lab – an interdisciplinary research department at the Massachusetts Institute of Technology – collaborated with 3D printing company Stratasys to create structures with varied rigidity, opacity and colour (By: Dezeen). The team used an Objet500 Connex3 Color, Multi-material 3D Production System to 3D print the "skins" in a range of plastics with different densities – each one suited to a different planet in the Earth's solar system Main. The project, titled Wanderers: An Astrobiological Exploration, includes four pieces that are imagined to be embedded with living matter. Using synthetic biology, this matter would be used to create micro-habitats or systems that would allow humans to explore other planets in the solar system with environments that would otherwise be lethal. "The future of wearables lies in designing augmented extensions to our own bodies, that will blur the boundary between the environment and ourselves," said Oxman in a statement. "With this collection, we have designed spatially and materially complex wearables pointing towards the possibility of containing living matter that can interact with the environment." The wearable structures incorporate pockets and tracts that could house the biological material, which would be synthetically adapted to make chemical changes in the surrounding atmosphere. "Each piece intends to hold life-sustaining elements contained within 3D-printed vascular structures with internal cavities," said Oxman. "Living matter within these structures will ultimately transform oxygen for breathing, photons for seeing, biomass for eating, biofuels for moving and calcium for building." The first piece, Mushtari, is designed to interact with the atmosphere on Jupiter and is shaped from a continuous translucent strand formed into layers that look like animal intestines ( (Photo Credit: Mushtari. This image: Zuhal). Positioned around the lower abdomen, the device is proposed to consume and digest biomass, absorb nutrients, generate energy from sucrose accumulating in the side pockets and expel waste. 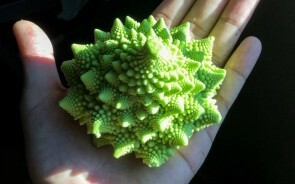 Zuhal is created to adapt to the vortex storms on Saturn. 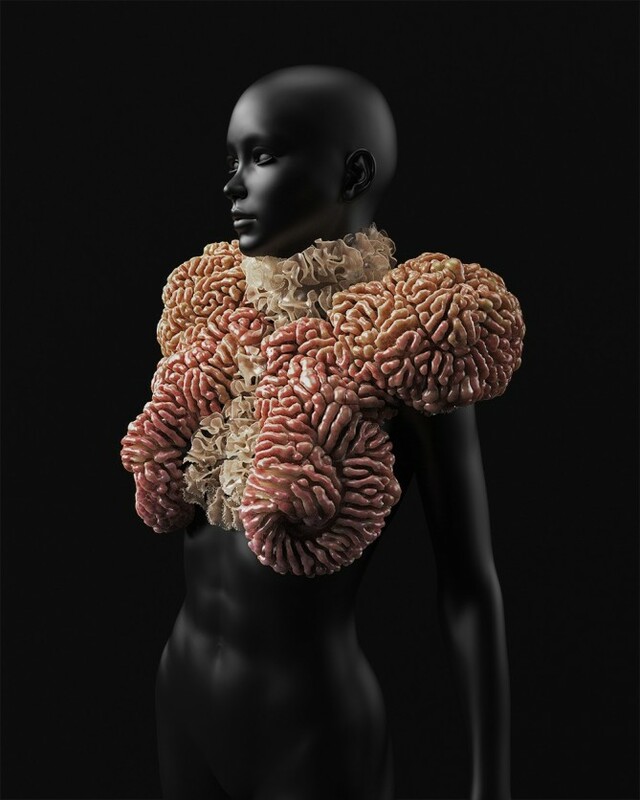 Bacteria contained on the bodice's swirling textured surface would convert the planet's hydrocarbons into edible matter. For survival on Mercury, Otaared creates a protective exoskeleton around the head that can be custom-fit to the wearer. 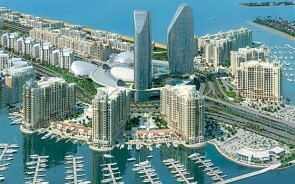 Finally, Al-Qamar is designed as a "wearable biodome". 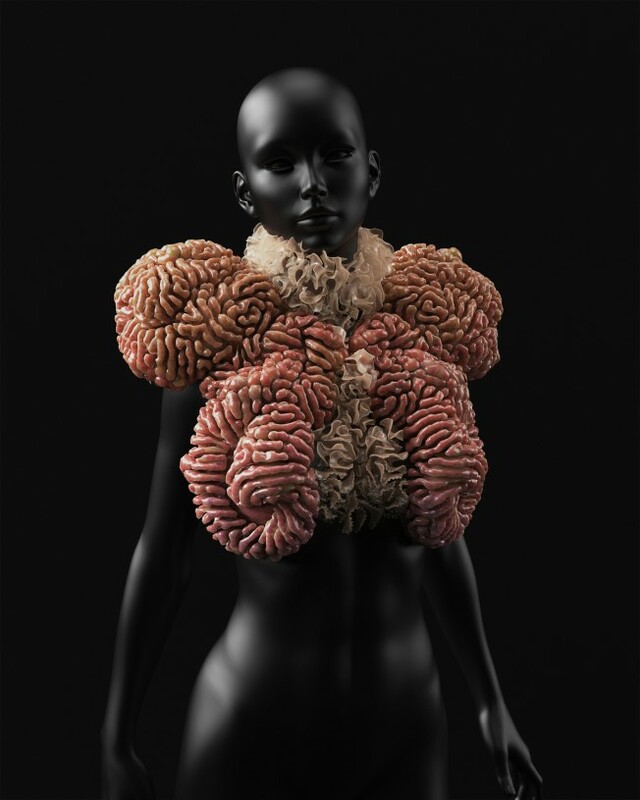 Fitted around the neck and over the shoulders, the exterior is made up of pods for algae-based air-purification and biofuel collection to produce and store oxygen (Photo Credit: By Al-Qamar). Oxman also worked with German design duo Christoph Bader and Dominik Kolb during the project to generate the shapes of the wearable pieces using computational growth patterns. "As a continuation, Oxman's team is now in the process of integrating living engineered cells into the wearables for functional augmentation purposes," said a statement from Stratasys. The pieces were unveiled today as part of Stratasys' collection The Sixth Element: Exploring the Natural Beauty of 3D Printing, which is on display at the EuroMold event in Frankfurt, Germany, until 28 November.